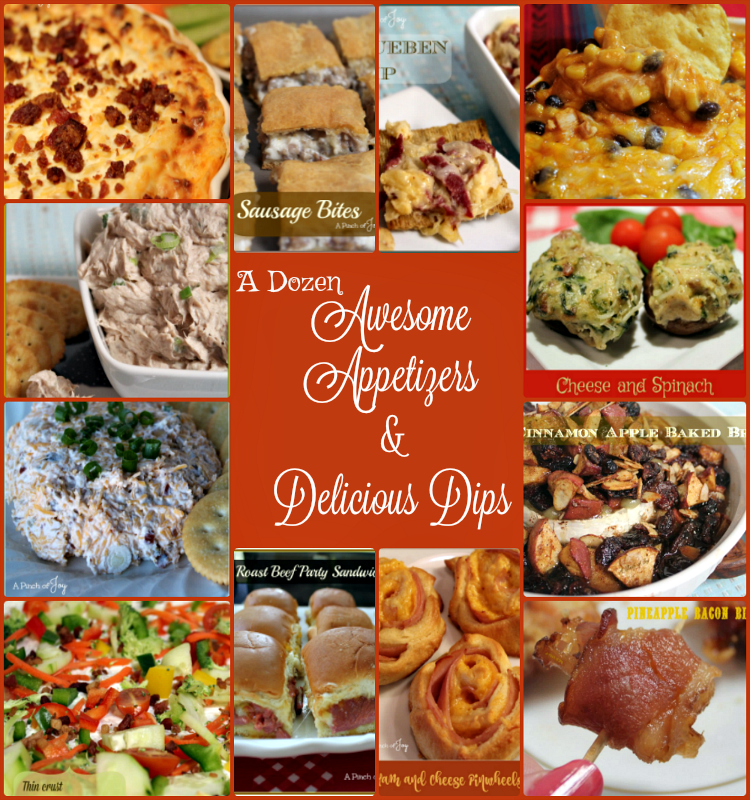 Here’s a dozen great appetizers and dips to consider for your next party. 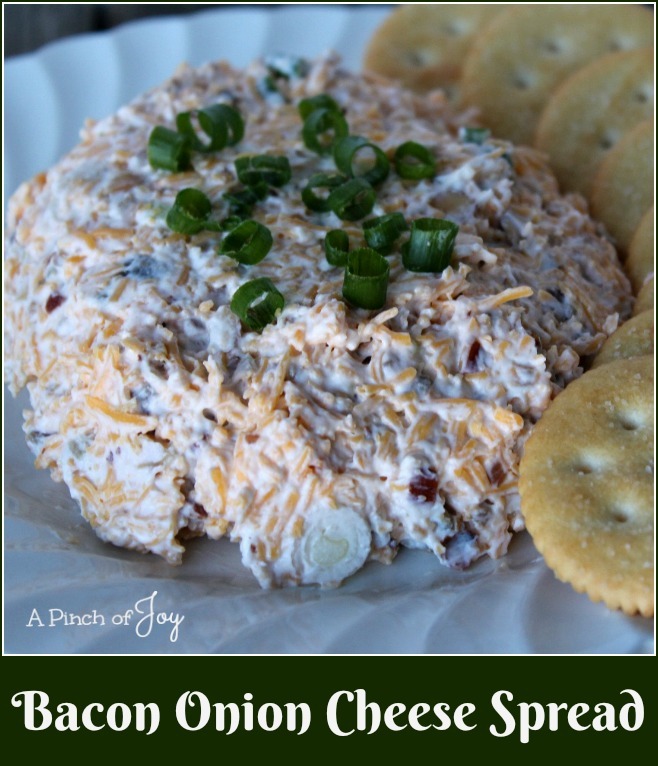 Plus a bonus appetizer for a Christmas / New Year Party that has been a seasonal top post since it appeared on A Pinch of Joy! I was so surprised to see the total number I just had to add it! How’s that for a deal? You’ll find it at the very end! 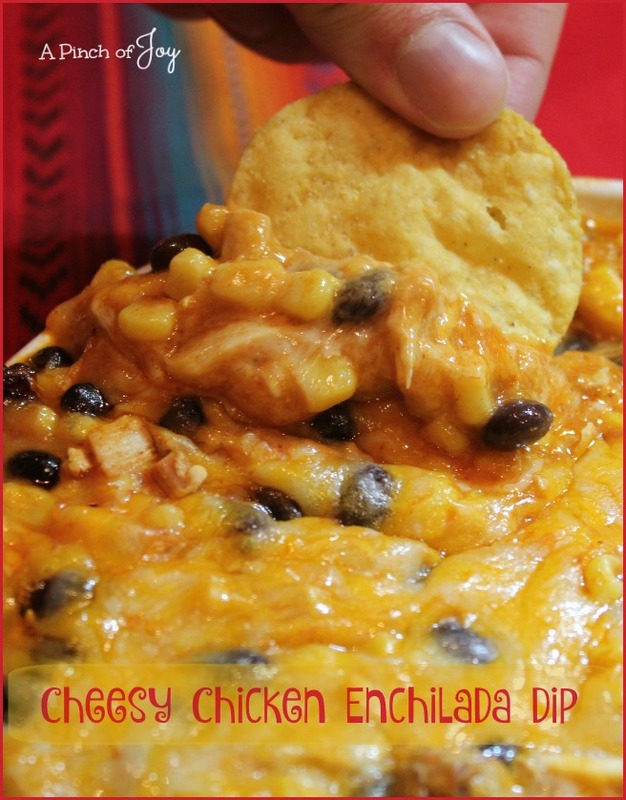 Cheesy Chicken Enchildada Dip — Memorable, cheesy and flavorful, easy and quick — disappears quickly! 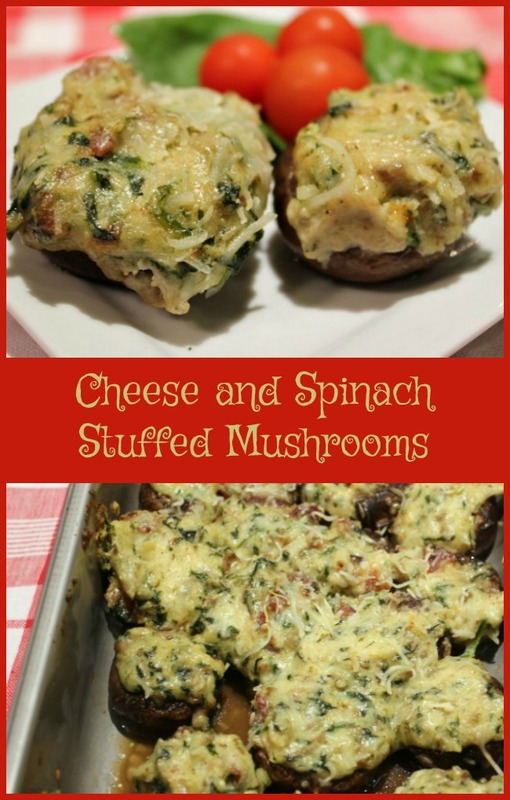 Cheese and Spinach Stuffed Mushrooms — a bite of delicious melty cheese, colorful spinach atop a hot and flavorful mushroom. 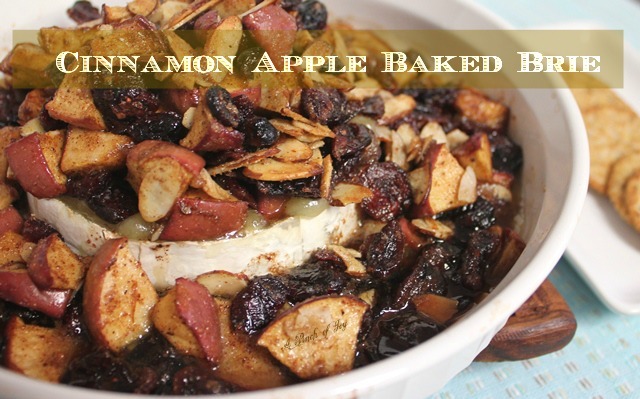 Cinnamon Apple Baked Brie — Better than apple pie — and easier, too! 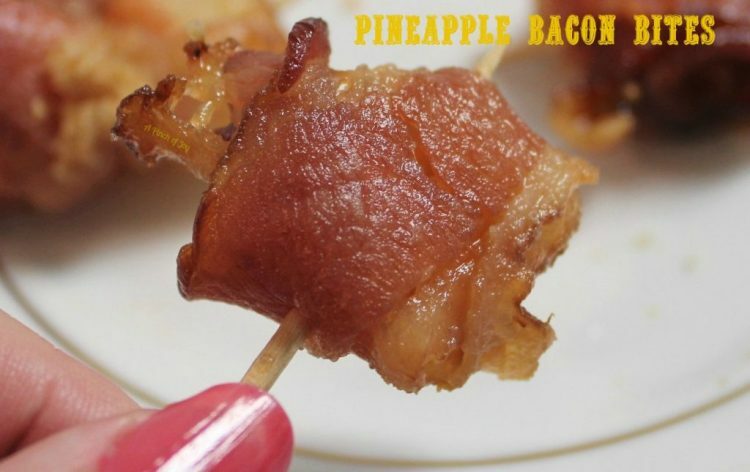 Pineapple Bacon Bites — Sugared bacon wrapped around pineapple bits, baked to perfection! 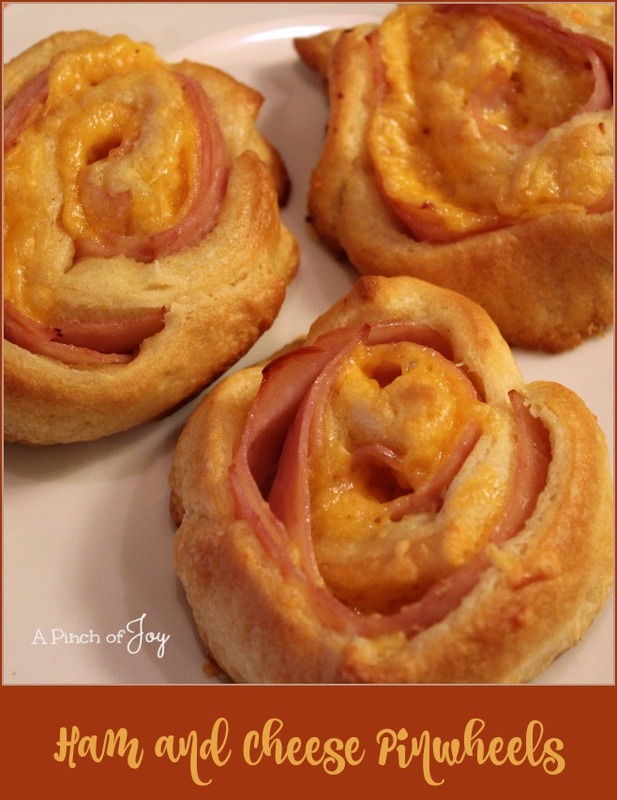 Ham and Cheese Pinwheels – Hot ham, creamy cheese, wrapped in mustard tinged light, fluffy and flaky goodness. AND your team will win! 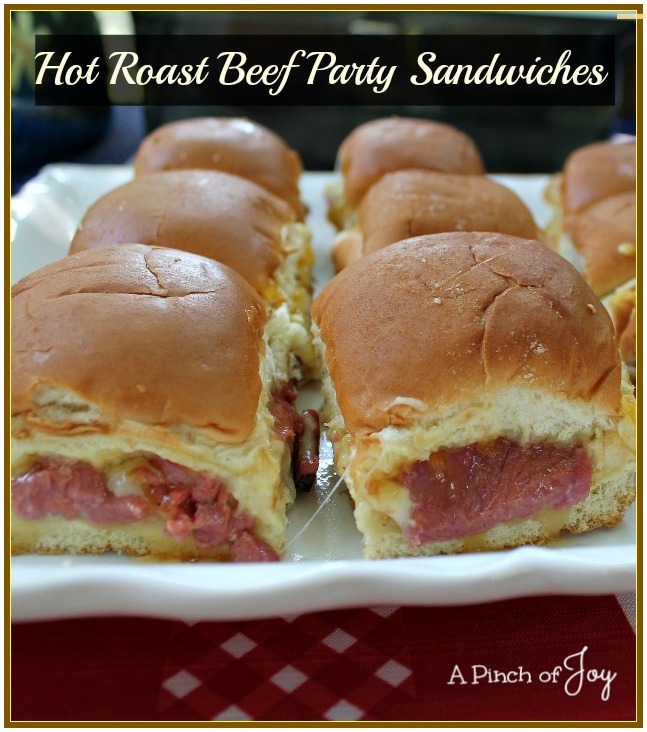 Hot Roast Beef Party Sandwiches Sweet and savory addition to the party table, a hot sandwich that pleases everyone! provide a burst of color and nutrition for your appetizer table! 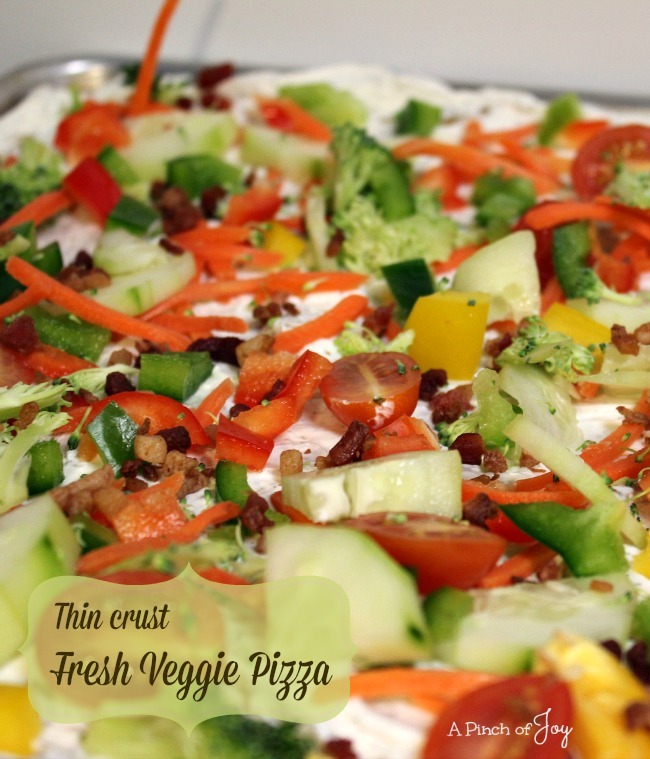 a bit crunchy and thoroughly scrumptious. 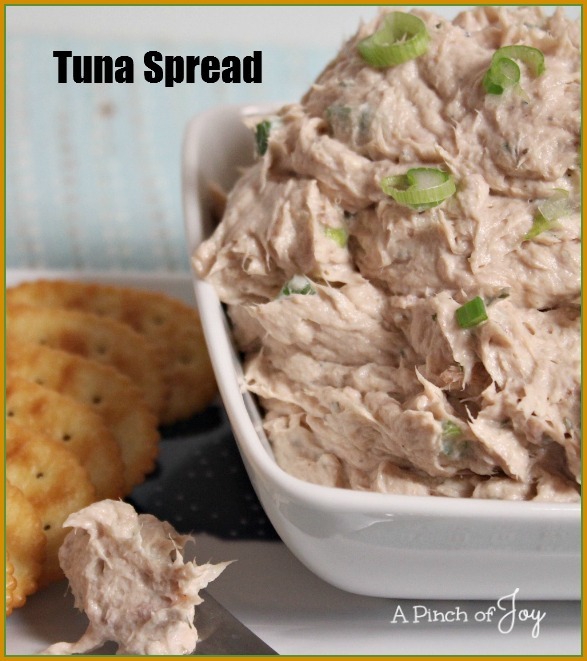 Tuna Spread — a creamy, flavorful and healthy choice. 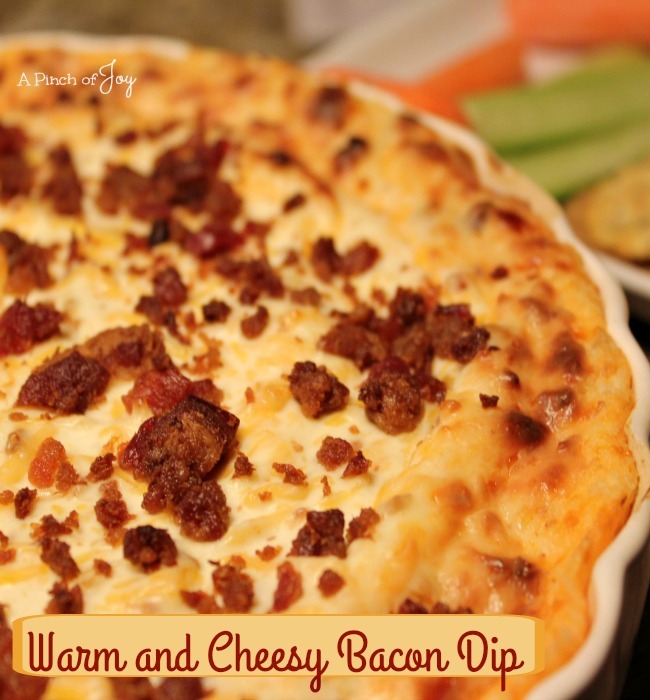 Warm and Cheesy Bacon Dip — The name says it all! 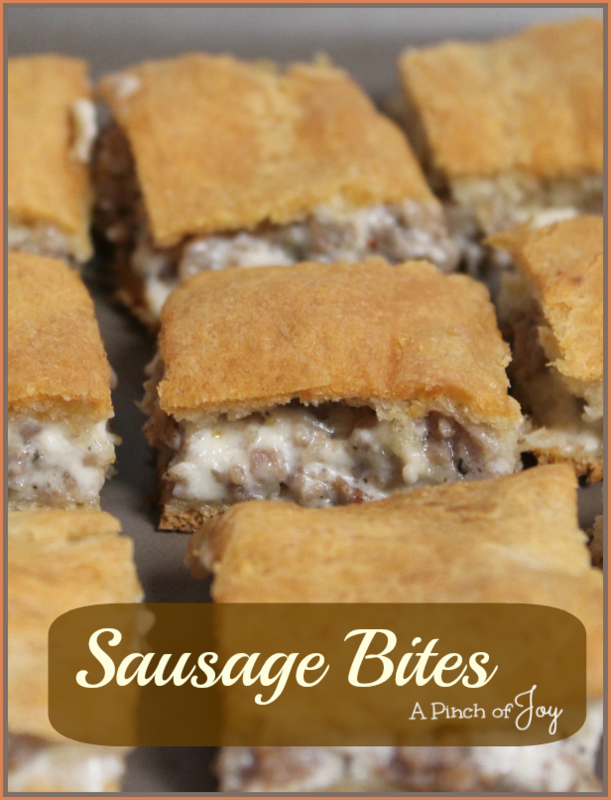 Sausage Bites — Creamy sausage bites in a golden crust, melt in your mouth goodness! 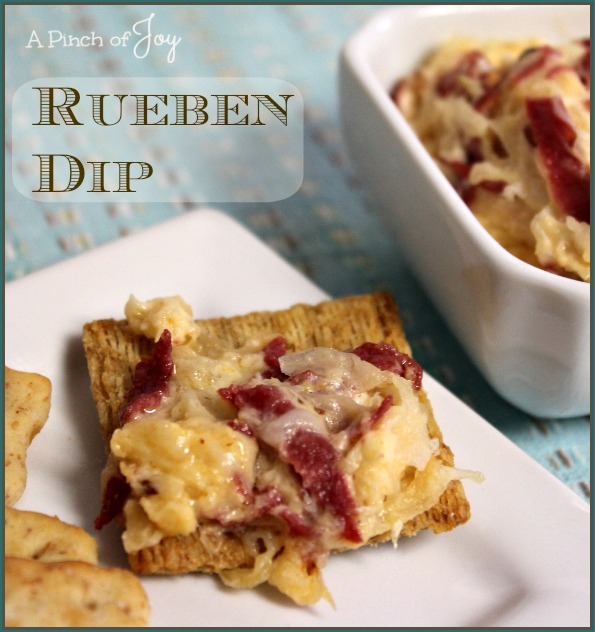 Rueben Dip — A creamy, tangy dip that tastes just like it’s brother, the Rueben Sandwich! 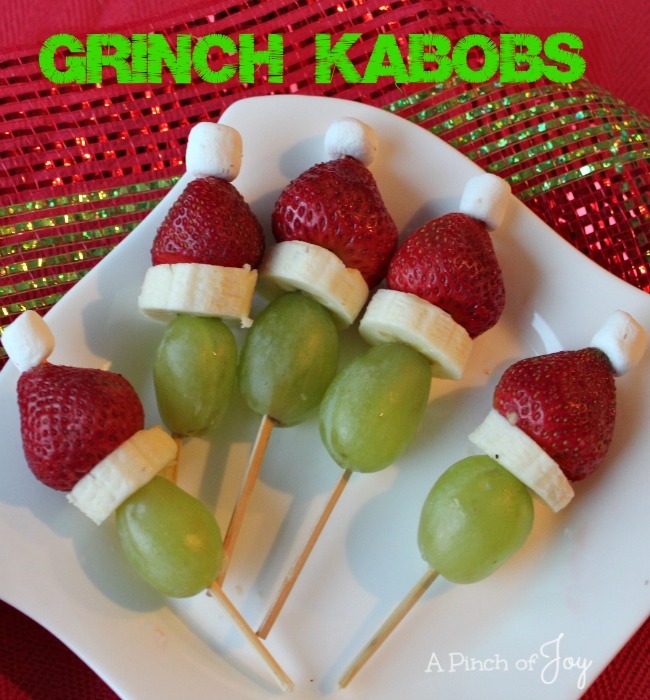 And the bonus appetizer is: Grinch Kabobs! Cute, colorful and healthy! I’m so glad you stopped by today! Be sure to follow A Pinch of Joy using the icons on the blue bar at the top of the page so you don’t miss a thing! I’d love to have your company on this venture!! Share: if you found this helpful or inspiring please click one of the buttons below! Your support of A Pinch of Joy is appreciated!